TOGA Group's One Twenty Macquarie tower in Sydney's north has met with immediate sales success with more than 80 per cent of the 192-apartment building sold out on Saturday. According to The Australian buyers queued for more than four hours at the development's sales launch. 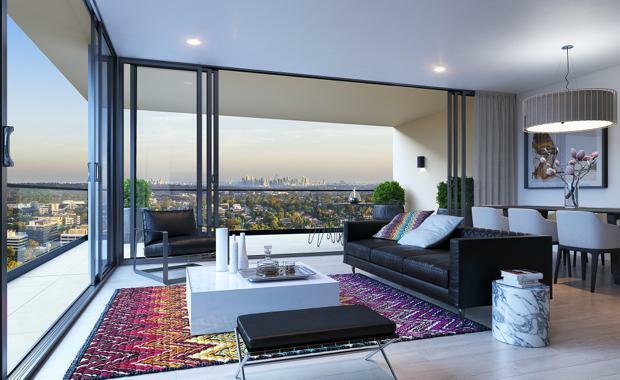 "This is a strong result and highlights the underlying demand for quality apartments with superb views and lifestyle amenities in an attractive satellite city," TOGA chief executive Fabrizio Perilli said. Buyers were provided the opportunity to nominate apartment preferences in the lead up to the March 5 sales launch; minimising disappointment. “Two and three-bedroom apartments proved to be particularly popular with the turnout of buyers on the day,” Mr Perilli added. More than 50 per cent of buyers at One Twenty Macquarie were owner occupiers. The $160 million residential tower, designed by Turner architects, will rise 23 storeys with construction expected to start in mid-2016. One Twenty Macquarie is positioned 16 kilometres from Sydney CBD and 450 metres from Macquarie University, Macquarie Shopping Centre and Macquarie University railway station. Macquarie Park is the second largest business district in NSW, boasts the state’s largest suburban shopping centre and is projected to be Australia’s fourth largest CBD by 2030.